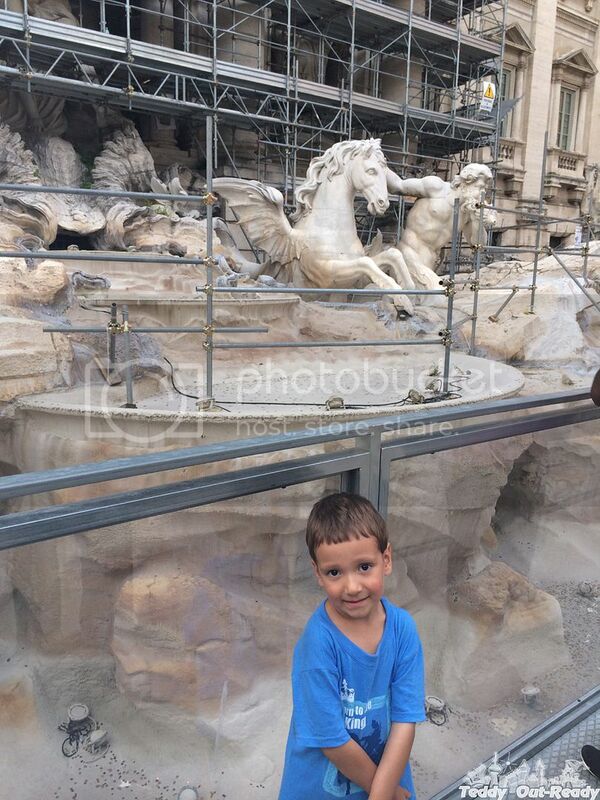 This is the first post about our summer 2104 vacation in Italy that took place from July 26th to August 7th. Finally all preparations came to the end and we got on board of Air Transat charter flight to Rome. It was much cheaper than regular flight, but without blankets and alcohol - you pay for it if you want. After arriving in Fiumicino (Leonardo da Vinci) airport we made a stop at first Tourist Information booth and bought “3 days Roma passes”. 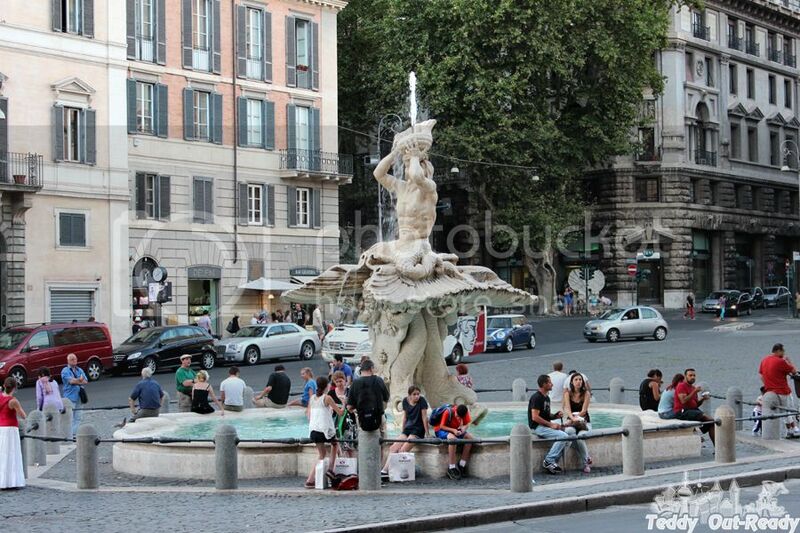 Then we headed to train station that located within airport, and bought transportation passes for 3 days and tickets for train to Termini station – central train station in Rome. One way ticket for one person from airport to downtown Rome costs 14 euro for fast train with cozy seats, but there is a budget version of it for 9 euro. In Paris one way train from Charles de Gaulle airport to downtown is 9 euro. I was surprised that in Toronto, a train from Union Station to Pearson Airport (about 25 km) will cost from 25-30 dollars for person in one way. I am wondering, why it is 2 times more expensive and who will trade convenience of taxi for train hassle that cost the same money? “3 days Roma pass” covers 3 days of transportation (bus, subway and streetcars) and any participated 2 free museum admissions plus small discount for all other participated museums. We planned to stay in Rome for six days and decided to use the Rome passes during last three days. Roma pass is smart way do not waste a lot of time waiting in the lines. Consider that waiting time to buy ticket to Coliseum can reach up to two hours and during summer temperature in Italy, very hot and humid weather – Roma pass is a good deal. 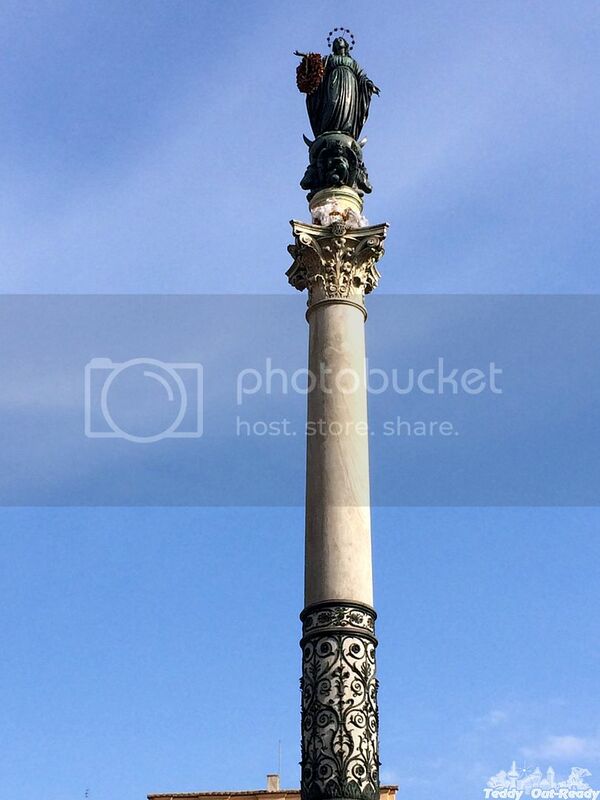 We booked hotel close to Termini station near Basilica di Santa Maria Maggiore and when got there – left our luggage in the room and went to see the city. 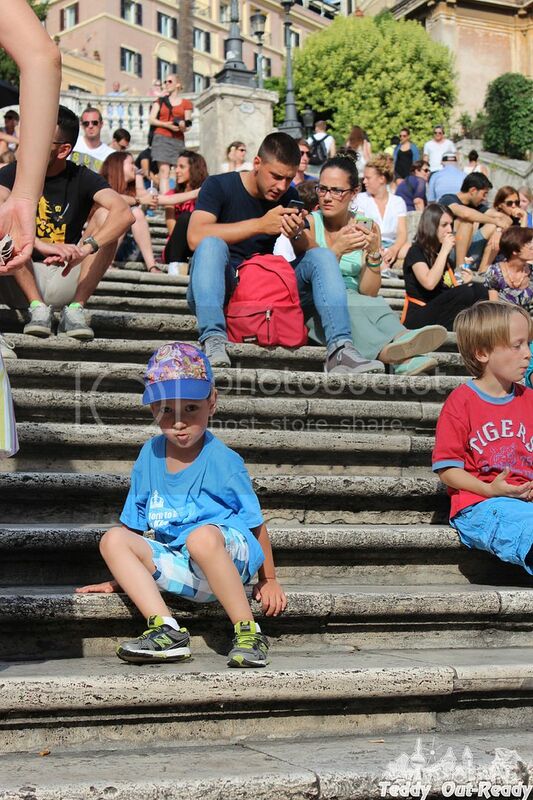 We took a subway to Spagna subway station and spent some time walking and sitting on Spanish steps. 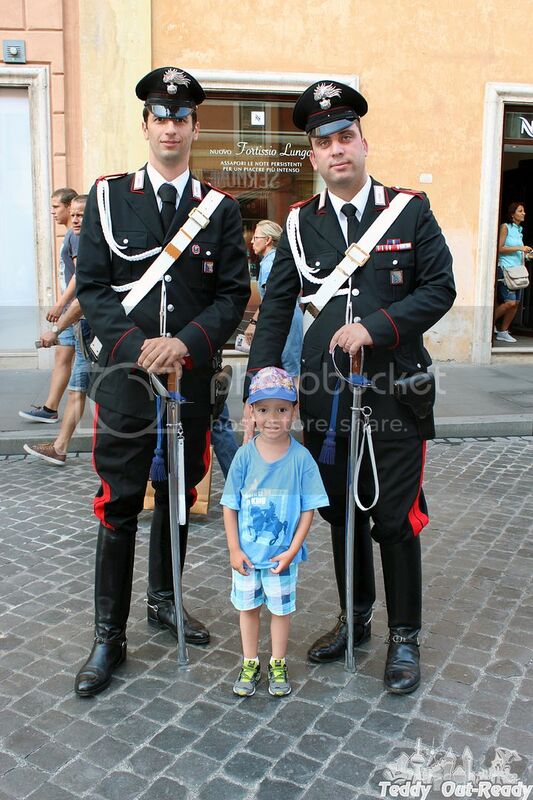 On Piazza di Spagna two very tall police officers took a picture with tourists. Teddy waited for his turn and took a photo with them. We were hungry and decided to have a lunch in one of the Piazza di Spagna’s restaurant patios. It was our first eating out in Italy and we ordered pizza and pasta with coffee and gelato for dessert. The food was good, but we were more excited to see Rome and watch solid flows of tourists walking in all directions. 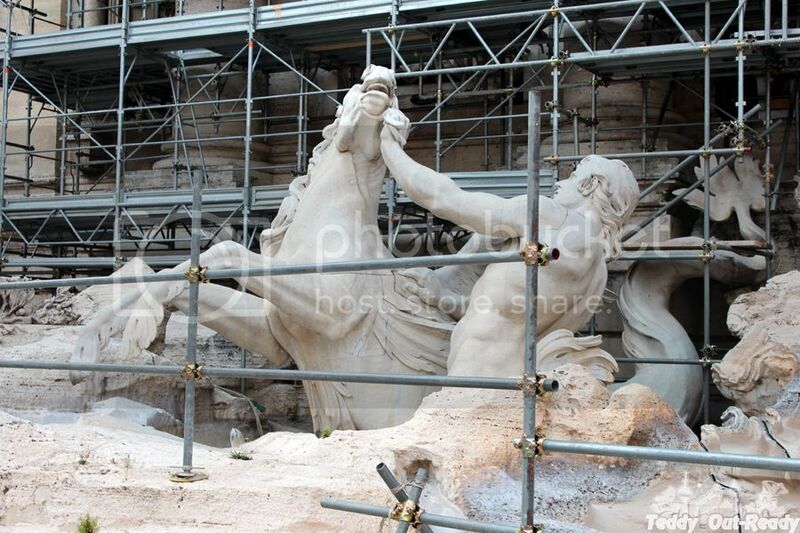 After lunch we took a short walk to Fountain Trevi. 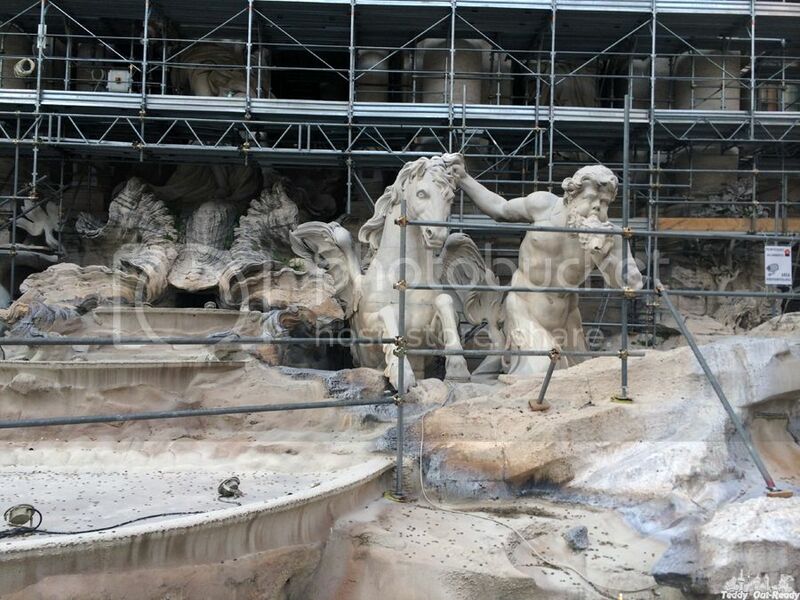 Unfortunately it was under construction and didn’t work, but we came close any way and enjoyed architecture of the largest Baroque fountain in Rome. Just in 50 meters from Fountain Trevi we found Pinocchio store. 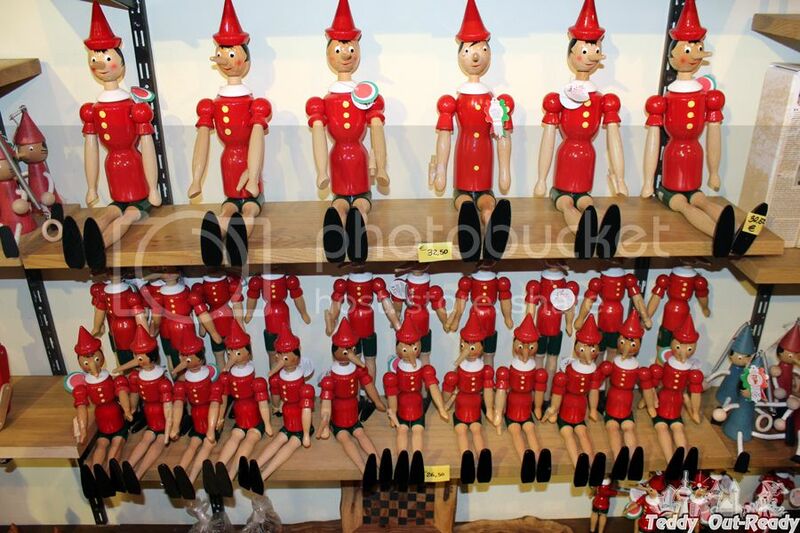 It was thousands of Pinocchios there - different styles and sizes. Adult size wooden Pinocchio was sitting on the bench in front of the store and Teddy took a picture with him as well as with two child size Pinocchios in the store. 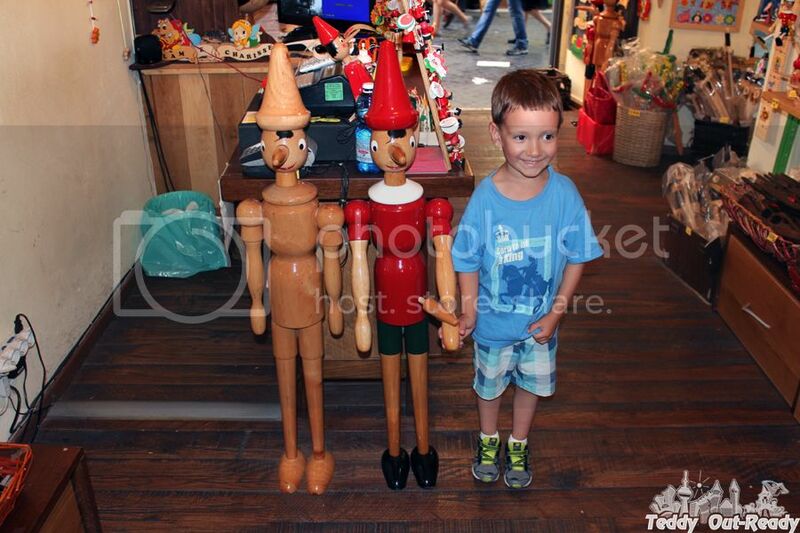 We bought wooden marionette Pinocchio for Teddy and he was so excited that didn’t want to leave the store. There were so many Pinocchios to play with. Our plans were to visit Pantheon that day, but Teddy was not ready for it. Jet lag, adaptation and hot weather forced us to return back to the hotel. 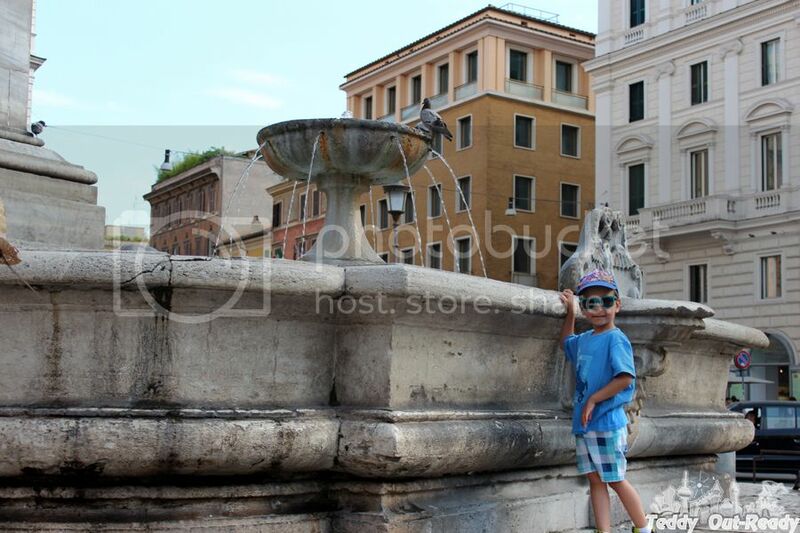 We also had to wake up early next morning because we booked 9AM tickets to Borghese Gallery.